Rw/PES 5205/2 - thickness: 10 +/- 2 mm, surface mass: 250 +/-25 g/m2. 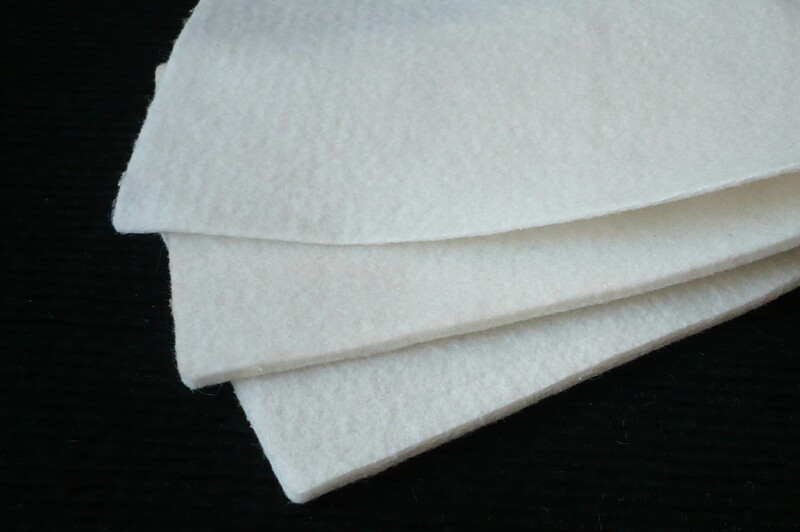 Filtering nonwoven fabric made of polyester fibres. A product characterised by a loose and fluffy structure. The spatial structure as well as technical and usable parameters make this product a recommended solution as a pre-filter in air conditioning and ventilation. Filter class G3, G4. The product is attested by PZH (National Institute of Hygiene). Rw/PP 5210 - thickness: 5,5 +/- 0,5 mm, surface mass: 200 +/-20 g/m2 - polypropylene fibres. Used for water filters. 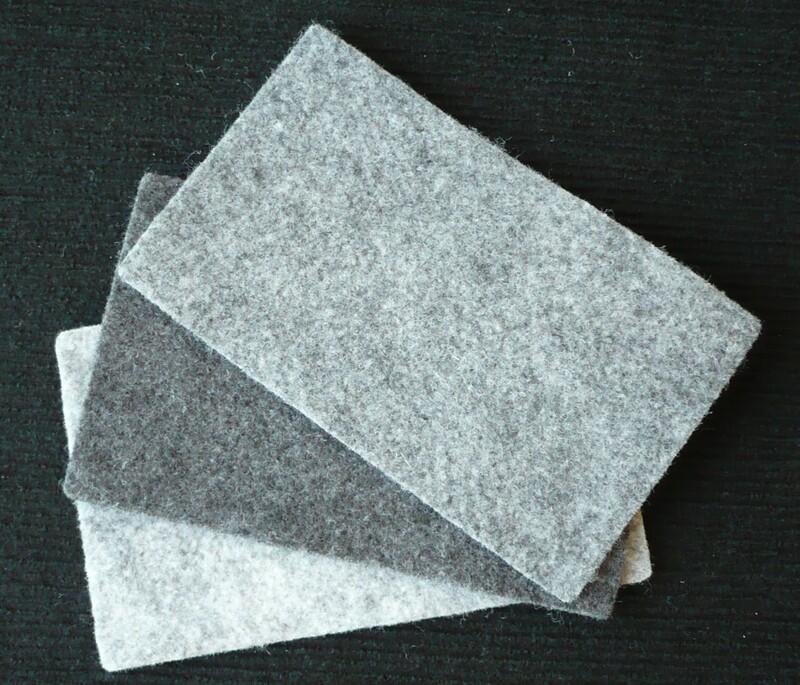 A product with a compact structure, used as a substitute for sealing felt. Available in three shades of a grey blend. This nonwoven fabric is used, among others, as a decorative surface in multilayer finishing elements in the automotive industry. 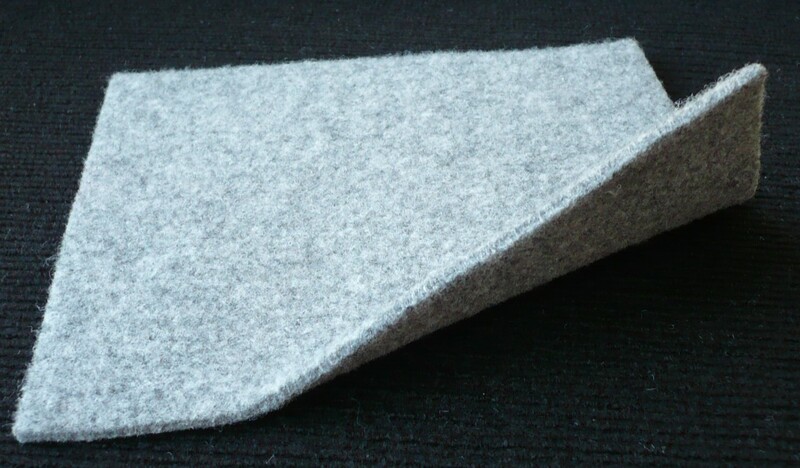 This nonwoven fabric is used as a structural element of footwear. Thickness: 4 +/-0,4mm, surface mass: 700 +/-40 g/m2. Due to its technical characteristics, this nonwoven fabric is intended for the manufacture of felt and rubber footwear. This nonwoven fabric is used, among others, for the insulation of pipes, joints, and as a filling of cables. Thickness: 7-8 mm, surface mass: 750 +/-50 g/m2. Thin nonwoven fabric is used for the filling of special protective clothing. Thickness: 10,0 +/-1,0 mm, surface mass: 1500 +/-150 g/m2. Due to its structure, this nonwoven fabric is mainly used for lining press plates in ironing machines or ironing tables used in the clothing industry. This impregnated product acts as a shock-absorbing, base and protection layer. The fabric is sold in panels. Thickness: 5,0 +/- 0,5 mm, surface mass: 1400 +/-100 g/m2 Impregnated product. The fabric is sold in panels. Thickness: 10,0 +/- 1,0 mm, surface mass: 2000 +/-150 g/m2. This nonwoven fabric is a thick product, stiffened through impregnation, characterised by low hygroscopicity, which can be formed at elevated temperatures. Due to its properties, it can be used in various industrial applications.